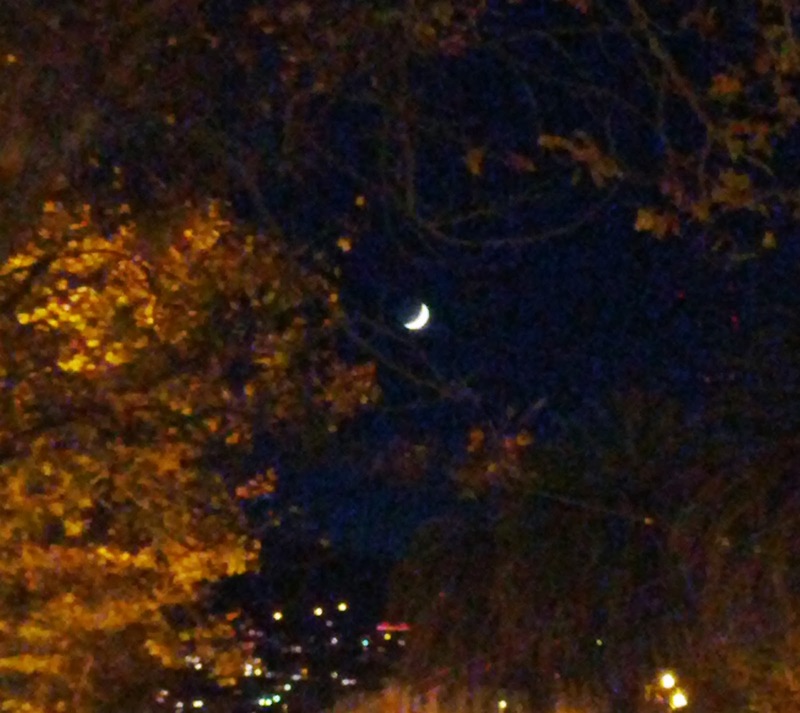 The moon was beautiful tonight. I caught sight of her as I was walking along on errands around 6pm, when the sky was indigo chasing twilight, and I kept seeing bright flashes between treetops. And then, there she was: suspended, elegant, in that rich blue infinity, shining silvery white in a sliver of a crescent with a crisp violet disk of the shadowed portion of her face. Only moments before, I'd unpacked my bag from hiking in Berkeley, and left my camera and sunglasses behind to lighten the load. I figured that I'd have nothing to take pictures of that would be demanding enough for me to risk getting caught unawares with a big fancy camera around my neck in the dark. So I left it behind. 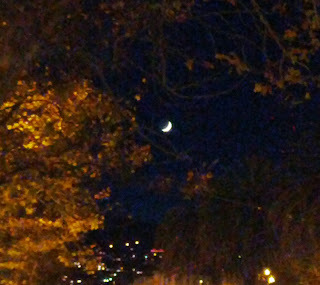 And then, there was the moon, daring me to try to steal the moment for a little longer by committing it to pixels. My phone never stood a chance.